Kamukta Story Official is Free watch audio story &videouploading app. Here you can upload your audio story videosanddownloads your favorite from here. Here you can find manysocial'svideos as like kamukta audio story videos. You will getpoint bywatching videos, uploading videos and by inviting friendsyou canget points. Why you use Kamukta Story Official? 1. You canfindyour favorite audio story 2. More videos 3. Upload & Earn4.Watch & Earn 5. Share & Earn Main Features:- KamuktaStoryOfficial - Audio story & Online Earning application is aneasyway to earn money without any hard work. 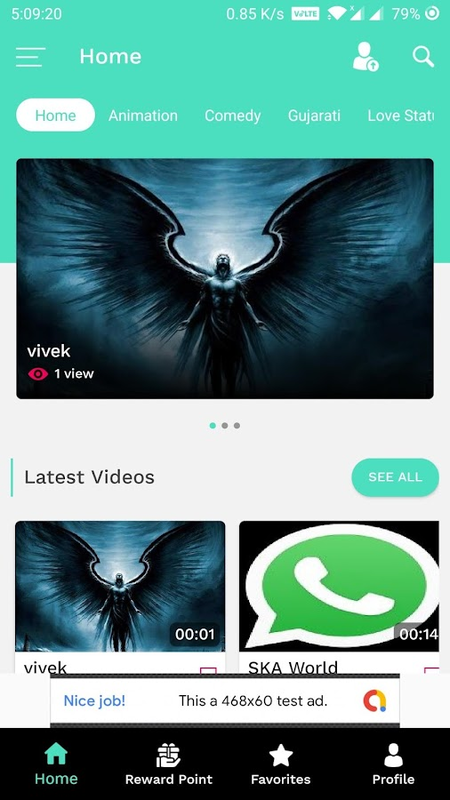 Here people canuploadtheir videos, they can download videos, they can watchingvideos.They can also share this application or invite their friendstojoin here.